Massachusetts initially threw out the red carpet for the $800 million MGM Springfield casino and the process appeared to be going smooth for both parties until MGM Resorts decided to make a few changes to its initial proposal. 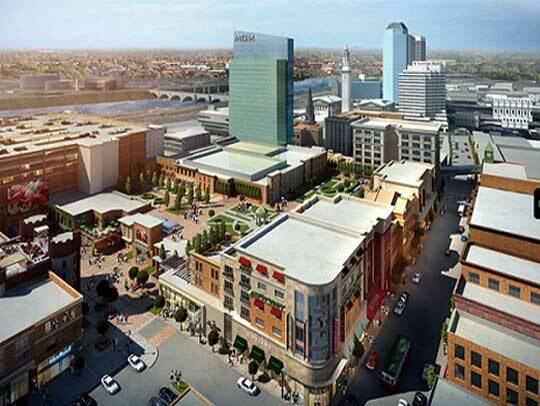 MGM decided to cut down on the scale of its MGM Springfield casino by nearly 14% as the MGM leadership team decided that a smaller operation was better suited considering the competition that was expected to rise from the neighboring states of Connecticut and Rhode Island. The amended casino proposal did not go down well with the state gaming regulators who felt that MGM was going back on its commitment to Springfield as the 14% cut would also reduce the number of construction jobs and full time jobs that the project was expected to create. Added to this, a reduction in the size of the project would also bring down the gaming revenues and state taxes that the state of Massachusetts expected to collect. MGM Resort and MGM Springfield senior executives met with gaming regulators and state officials met earlier this month to discuss these proposed changes and MGM assured the state that it was fully committed to Springfield and would infact be spending an additional $150 million to make sure the project is successfully completed. MGM also clarified that it wasn’t reducing the project by a little over 10 percent and not 14 percent as some reports had suggested. The state gaming regulators has asked MGM Springfield to provide more information on how a project estimated at $800 million could suddenly rise to $950 million when the size of the project is being reduced by more than 10 percent. MGM Springfield executives have stated that the costs of the project has skyrocketed even though they were using effective cost cutting design changes because the cost of construction materials, project administration and labour has all gone up. Show us some particulars. Or tell us it was a colossal budget error. The numbers are just so big. It does not make sense to me.